Actress Courteney Cox (L) and musician Johnny McDaid arrive premiere of HBO's "The Comeback"
Courteney Cox and Johnny McDaid. 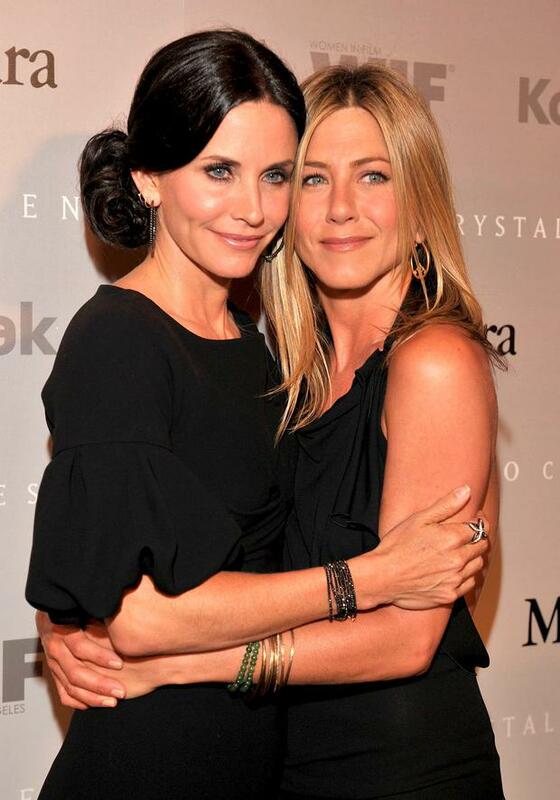 A list actress Jennifer Aniston has revealed that she is too busy joining in the planning and celebrating of best friend Courteney’s wedding to get her head around her own nuptials. Courteney Cox (50) became engaged to Snowpatrol rocker Johnny McDaid when he popped the question over the summer at Jennifer’s home in Los Angeles. To celebrate, Jennifer revealed to The Irish Sun that she threw a themed party for her Friends co-star and her Northern Irish fiancé. “I surprised them with the Irish party and it was so cute to see their faces. I loved it,” Jennifer said. The 45-year-old decorated the venue with green and white bouquets, hand made mint chocolate truffles, green velvet cupcakes, Celtic charm champagne glasses, shamrock napkins and Guinness chocolate cheesecake. Seeing as she is busy playing party planner extraordinaire, it’s hardly surprising that Jen hasn’t had much time to think about her own wedding to actor Justin Theroux. 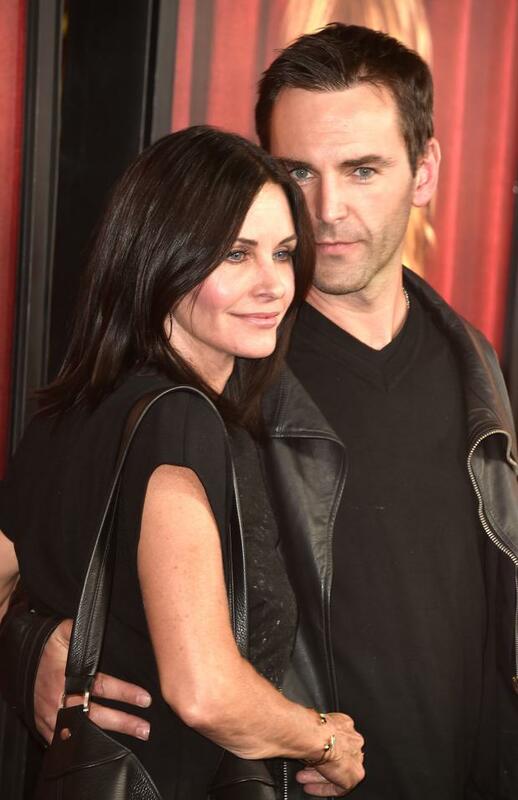 Courteney Cox, left, and Johnny McDaid arrive at the LA Premiere Of "The Comeback"
“We just live our lives and when the moment happens, you’ll hear all about it. But I’m pretty sure there’ll be an Irish wedding before ours will happen,” Jen stated. The actress is currently re-booting her body after piling on 10 pounds to play an overweight drug addict. Though it is early days, there is already an ‘Oscar buzz’ about her dramatic turn as Claire Simmons.